Welcome to Houndtown! The hounds around this town are busy working at all different kinds of jobs. Megan Halsey has created a bustling village full of industrious dogs. Can you guess where a dalmatian works? How about a poodle? 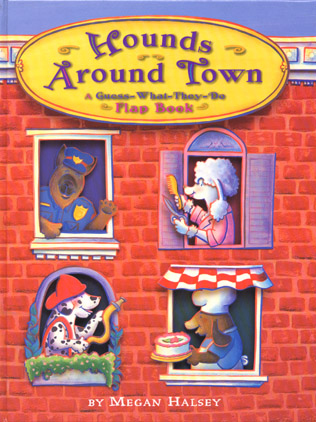 Visit Houndtown! Flip the flaps and find out!